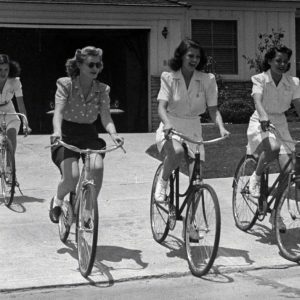 Minerva Griswold, Jane Hopkins, Rita Hayworth and Virginia Hovey ride bikes. 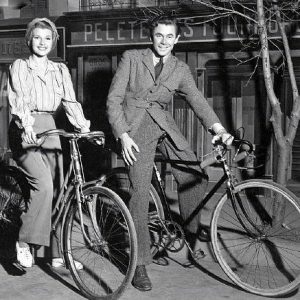 Rita Hayworth and Glenn Ford ride bikes. Look here in our archive for another image of Ford and Hayworth – the photo that launched “Rides a Bike” way-back-when! 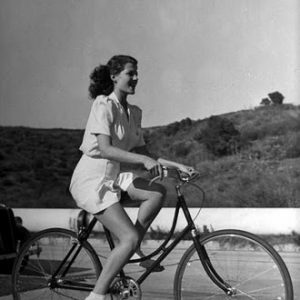 Rita Hayworth rides a bike.